Pet Dominion is an award-winning animal hospital in Rockville, MD offering the latest cutting-edge technology and veterinary medical treatment. We are an accredited member of the American Animal Hospital Association and strive to keep your pets happy and healthy through wellness and prevention. 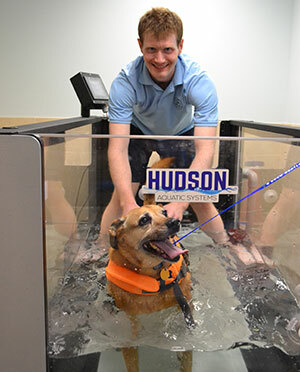 We offer the latest treatments including laser therapy and rehabilitation services. Our comprehensive diagnostics include a state-of-the-art in-house laboratory, digital x-rays and ultrasound. 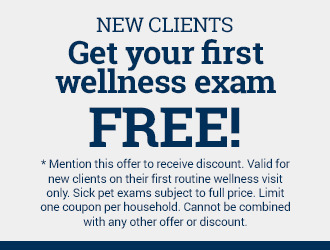 Give us a call today to learn more about these and all of the services we offer to give your pet a happy and healthy life. Radiology – or X-rays – help our veterinarians evaluate muscular-skeletal, cardiovascular (cardiopulmonary), gastrointestinal, reproductive and urinary systems. They provide a still picture of the internal structures in our pets. We have the latest technology in radiology, an Eklin digital radiography system. Digital radiographs can be taken quickly and accurately. They can be burned onto a CD or emailed to referral centers. This non-invasive, state-of-the-art technology uses sound waves to painlessly examine specific internal organs, primarily the heart and abdominal organs. It is commonly used to evaluate bladder conditions such as cystitis, stones and to obtain guided sterile samples of urine. You may want to have an ultrasound performed on your older dog or cat to evaluate the size, shape and consistency of the abdominal organs in case there are early signs of tumors or disease. The Companion Therapy Laser has been part of pain management and healing at Pet Dominion in Rockville, MD for several years. It is a dual beam class IV laser that uses gentle therapeutic laser light to increase cellular energy and health to a damaged area. This dramatically speeds healing time and reduces pain and swelling. This laser is used successfully in the management of chronic pain and stiffness due to arthritis or joint injury. Our vets recommend laser therapy following routine surgeries such as spays and neuters as well as most other soft tissue and orthopedic procedures. We can also use it following the extraction of a tooth. The laser stimulates the immune system, nerve regeneration, and cell reproduction and growth. It is non-invasive, painless and has no side effects. Each treatment lasts between 3 and 8 minutes. Your pet’s nutrition is another important part of his/her overall health. Our Purina Certified Weight Coaches here at Pet Dominion have completed a comprehensive pet nutrition and weight management training course that equips them to work one-on-one with new and existing clients to create a feeding and activity program that will help each pet achieve a healthy weight and physique. According to an Association for Pet Obesity Prevention survey, more than 50 percent of the dogs and cats in America are facing obesity. By working with a weight coach, owners get the support they need to help their pets sustain weight loss and reduce risks associated with obesity. These health risks include diabetes, heart disease and arthritis. With the right tools and support — including a diet formulated for weight loss and a plan for regular exercise — owners can help reverse what has become a growing trend of pet obesity. This plan should include a program goal and timeline as well as specific dietary and exercise guidelines. The program can be tailored to include dry and/or canned food as well as treats. Dr. Bassett has kept an outstanding practice for many years, updating treatment, care and pet health needs as they become available. He stays well informed concerning new medicines and treatment and listens and addresses our questions and concerns. The staff provides kind, caring treatment for our pets as well as takes the time to inform us as to options available when making decisions regarding pet health procedures. Keep up the good work Dr. Bassett!